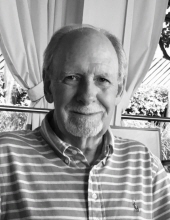 Albert Harley Hamrick, age 76, passed away on April 12, 2019. Albert was born on June 24, 1942 to Callie Bell (née Lancaster) and Edward William Hamrick. In 1961 he married Elizabeth Ridings, to whom he was married for 57 years. The family will receive friends on April 15, 2019 at First Baptist Church of Jasper for visitation at 12:30 p.m. followed by a funeral service at 3:00 p.m.
"Email Address" would like to share the life celebration of Albert Harley Hamrick. Click on the "link" to go to share a favorite memory or leave a condolence message for the family.